After a long day on Thursday, I found these beautiful fluffy heels. I first bought the pink ones later than got the metallic ones. The pink ones were £14 but got them £7, I was so excited as I didn't expect them to be on sale because they didn't have a price reduction tag. When I found the metallic ones in the other primark, I was expecting them to be £7 but they were £3 pounds. I got excited but had to check my receipt just in case there was a mistake, but No ladies Only £3!. So if you near primark, why not pass by and check out these pretty little things, you might be able to get them too. Have a fab weekend and leave a comment to let me know what you think . Wow ! So lovely ! 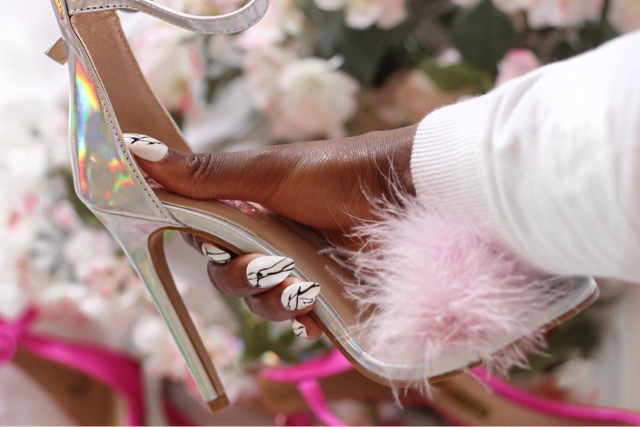 These pink fluffy heels are just too pretty!! !